(TOKYO, JAPAN – October 9, 2015) Lexus will show a total of 11 vehicles at the 44th Tokyo Motor Show 2015. 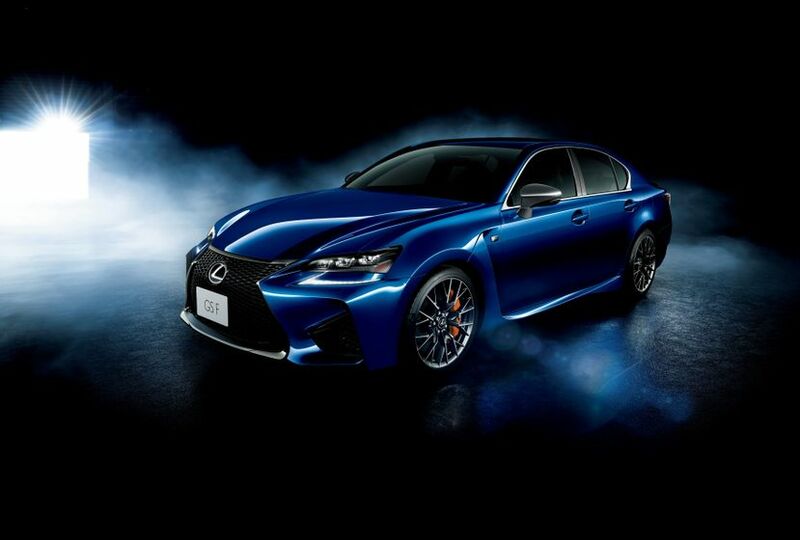 The exhibition will mark the Japanese debut of two models: the partially redesigned GS, and the GS F high-performance sports sedan—the latest member of the Lexus “F” lineup. Additionally, the new RX premium crossover will make its first appearance in public at the Motor Show. All three models were unveiled in the U.S. earlier this year, and are scheduled for launch in Japan within 2015. A high-performance sports sedan that emphasizes sound, dynamic response and acceleration. The 5.0-liter V8 engine equipped with D-4S (Direct Injection 4-stroke Gasoline Engine Superior Version) produces the linear power and superior response characteristics of a normally aspirated engine, while achieving high output. In addition, running the engine on the Atkinson cycle at cruising range improves fuel efficiency and environmental performance. The 8-speed Sport Direct Shift transmission allows the driver to experience acceleration directly, plus the specially designed suspension system and other features enable the driver to enjoy both full-scale sport driving and a comfortable ride on ordinary roads. The individuality of the F series is reinforced by an exterior that appeals to motorsports fans through a low center of gravity, a large spindle grill and large air ducts. The interior focuses on function, with special seats that achieve superior body hold through integral skin foam molding. The GS F made its debut on January 13 at the North American International Auto Show 2015 in Detroit. A mid-size luxury sedan that combines an imposing, aggressive design with class-leading driving performance. The sporty low center of gravity and three-dimensional shape of the spindle grille emphasize the individuality of the GS. LED lighting is used throughout, while the high-performance three-bulb LED headlamps come with an optional Adaptive High-beam System (AHS). The design of the front bumper, rocker moldings, rear combination lamps and other parts have also been updated to express the powerful presence of the GS. The 3.5-liter V6 engine has been improved from the cylinder block up, and combines the Atkinson-cycle engine with a new-generation D-4S system to achieve excellent fuel efficiency performance. The use of a decorative metal finish and satin metal trim, together with other new features such as a laser-cut real wood grain ornament panel, achieve an integrated interior that is both luxurious and modern. Enhanced body rigidity and optimally-tuned suspension achieve a smooth and gentle ride, while enhanced rigidity of steering components ensures superior dynamic response. 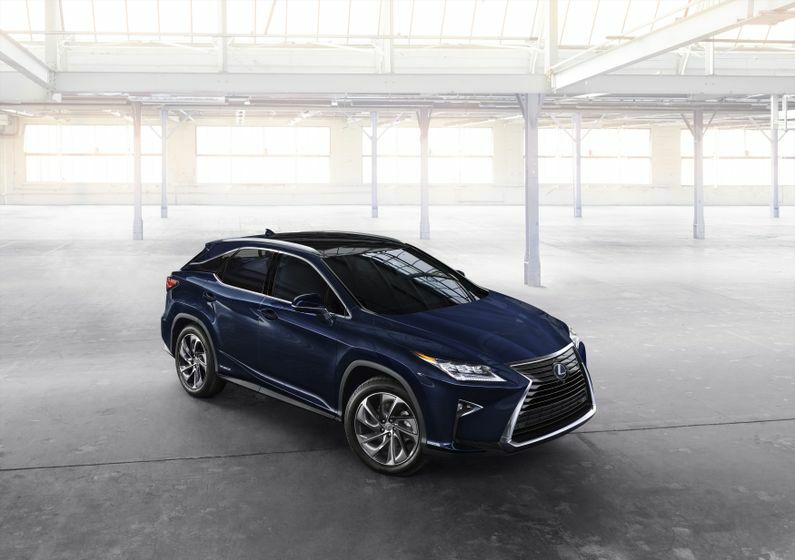 An all-new premium crossover developed on the proposition of keeping the best of the original RX, yet achieving more. An exterior with the strength of a sport utility vehicle combined with a strong, mature appeal, and an elegant interior featuring a host of new technologies. Improved body structure and suspension achieve both a comfortable ride and the response needed to faithfully meet the demands of the driver. The fuel efficient, low CO2 emission hybrid and the intercooler-equipped 2.0-liter direct-injection four-cylinder turbo DOHC engine powertrains achieve both a pleasurable drive and strong environmental performance. The new RX made its debut on April 1 at the 2015 New York International Auto Show. The 2015 Tokyo Motor Show will be held at Tokyo Big Sight from October 28 to November 8, with press days on October 28―29, a preview day on October 30, and public days from October 30 through November 8. To find out more, visit http://www.tokyo-motorshow.com/en/.